It's been forever since I've swatched anything from Barry M's Gelly collection, and I've certainly missed it! I know I've missed a few shades during my time away but I'm working on getting them up, and I've got the two latest shades in the range to show you today. Straight off, I'll admit these aren't the most exciting shades in the world, but I like to think of them as versatile rather than boring! The formulas, as always, are completely on point. My swatches show just two coats, without top coat. Blue Jade is a navy blue. This shows up a little darker than my swatch shows. Matcha is camo green. This style of green is one of my favourites to wear on my nails! I'll never tire of Gelly shades, Barry M could probably release a sick-green colour and I'd still be here raving about the formula (lets just hope they don't!) what do you think of this release? 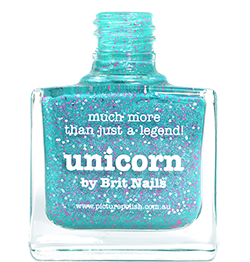 - Available now from Superdrug, Boots and Barry M.
I just don't know if I have an odd bottle of Blue Jade or something, as mine is much more grey than any photos I've seen. I love Grey's so it's not a problem though! 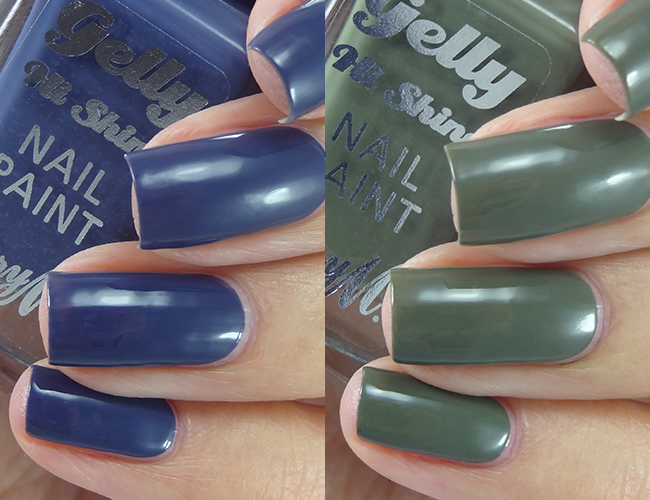 I love the Gelly collection, it's one of my favourites!